Name Variation Barbara Ann Mollet was also known as Anna Barbara. Married Name 6 October 1874 As of 6 October 1874,her married name was Freuler. Barbara Ann Mollet was born on 30 May 1851 at Unterramser, Solothurn, Switzerland. She was the daughter of Benedict Mollet and Elizabeth Muehlinman. Barbara Ann Mollet died on 23 December 1932 at St. Louis, Missouri, at age 81. She was buried after 23 December 1932 at Highland Cemetery, Highland, Madison, Illinois. 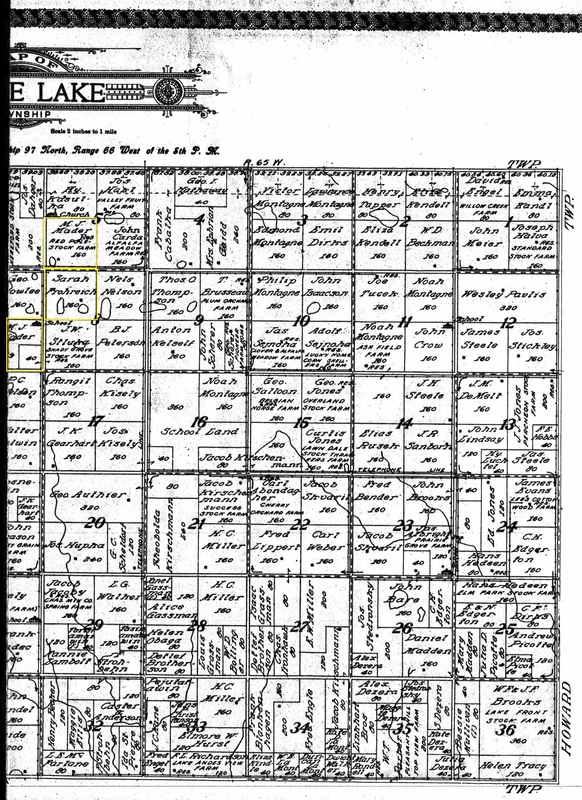 3 July 1855 Township 3 Range 5, Madison, Illinois Barbara Ann Mollet appeared on the census of 3 July 1855 in the household of Benedict Mollet at Township 3 Range 5, Madison, Illinois; listed as B Mollet; household includes 11 people (6 male, 5 female); value of livestock listed as 400 dollars. Barbara Ann Mollet immigrated with Benedict Mollet and Elizabeth Muehlinman in 1853; After a sea voyage of about 3 months, they landed in N. Y. City, where they were robbed of their baggage. Benedict Mollet witnessed the migration in 1854 at Helvetia, Madison, Illinois. 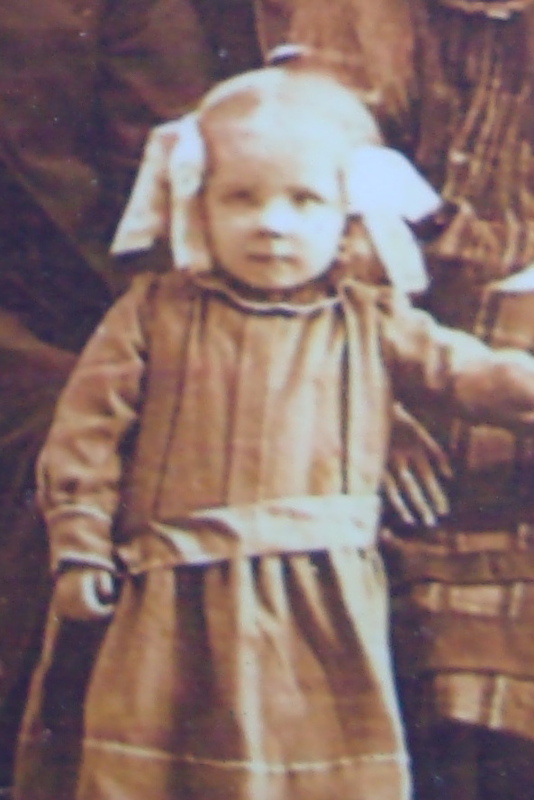 Barbara Ann Mollet had 7 with 7 living in 1900 children. She had 7 with 7 living in 1910 children. [S186] Illinois, Illinois Statewide Marriage Index, vol. 007/page 0024 license 00000534. [S247] U.S. Federal Census 1870 U.S. Federal Census, by Ancestry.com, Stamp 18. Page 35. Dwelling 1358. Jacob Freuler was born on 23 April 1843 at Canton Glarus, Switzerland. He was the son of Max Freuler. Jacob Freuler died on 30 October 1906 at Sidney, St Louis, Missouri, at age 63. 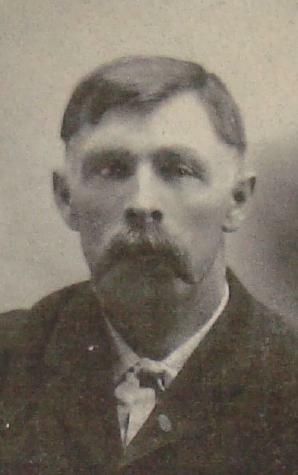 Jacob Freuler immigrated in 1868. He was a Tinner on 30 June 1880. Name Variation Gotthardt Mollet was also known as Godheard. Gotthardt Mollet was born on 4 May 1854 at Highland, Madison, Illinois. He was the son of Benedict Mollet and Elizabeth Muehlinman. Gotthardt Mollet married Mary Josephine Braunesreither, daughter of John H. Braunesreither and Johanna Lange, circa 1876. Gotthardt Mollet died on 2 September 1935 at Yankton, Yankton, South Dakota, at age 81. 3 July 1855 Township 3 Range 5, Madison, Illinois Gotthardt Mollet appeared on the census of 3 July 1855 in the household of Benedict Mollet at Township 3 Range 5, Madison, Illinois; listed as B Mollet; household includes 11 people (6 male, 5 female); value of livestock listed as 400 dollars. 1905 South Dakota He appeared on the census of 1905 at South Dakota. 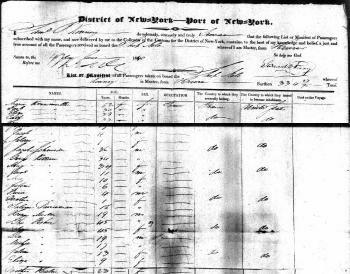 [S246] U.S. Federal Census 1880 U.S. Federal Census, by Ancestry.com, ED110. Dwelling 72. [S245] U.S. Federal Census 1900 U.S. Federal Census, by Ancestry.com, ED355. Dwelling 88. [S244] U.S. Federal Census 1910 U.S. Federal Census, by Ancestry.com, ED449. Dwelling 20. [S243] U.S. Federal Census 1920 U.S. Federal Census, by Ancestry.com, ED261. Stamp 125. Dwelling 3. [S250] U.S. Federal Census 1930 U.S. Federal Census, by Ancestry.com, ED68-12. Dwelling 12. 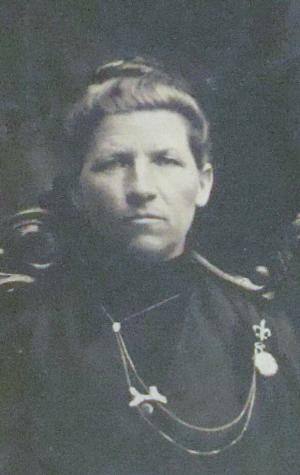 Name Variation Mary Josephine Braunesreither was also known as Maria Braunersreuther. 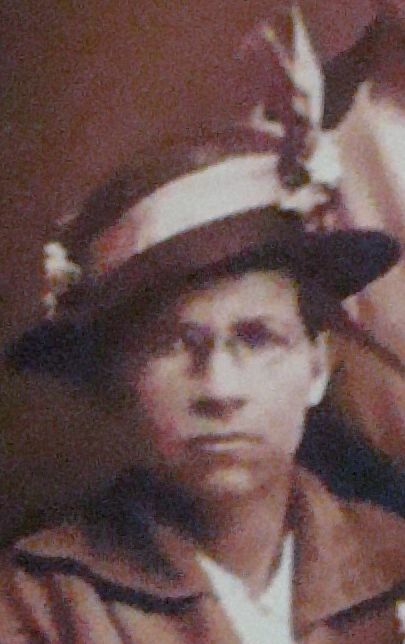 Name Variation Mary Josephine Braunesreither was also known as Mary G.
Name Variation Mary Josephine Braunesreither was also known as Marie. Married Name circa 1876 As of circa 1876,her married name was Mollet. Mary Josephine Braunesreither was born on 18 August 1854 at Redbud, Randolph, Illinois. She was the daughter of John H. Braunesreither and Johanna Lange. Mary Josephine Braunesreither married Gotthardt Mollet, son of Benedict Mollet and Elizabeth Muehlinman, circa 1876. Mary Josephine Braunesreither died on 5 December 1921 at age 67 also reported as 1922; Age 68 Years. 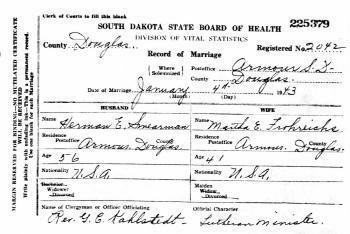 1905 South Dakota Mary Josephine Braunesreither appeared on the census of 1905 in the household of Gotthardt Mollet at South Dakota. [S248] U.S. Federal Census 1860 U.S. Federal Census, by Ancestry.com, Page 74. Dwelling 605. Nickname Elizabeth P. Mollet also went by the name of Ella P.
Nickname Elizabeth P. Mollet also went by the name of Emilie. Married Name 29 May 1906 As of 29 May 1906,her married name was Volmer. Elizabeth P. Mollet was born on 5 January 1886 at Utica, Central Township, Yankton, South Dakota. She was the daughter of Gotthardt Mollet and Mary Josephine Braunesreither. 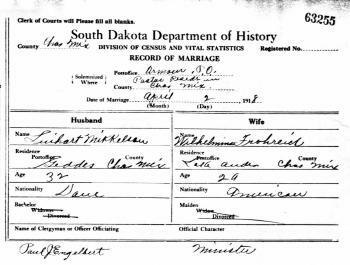 Elizabeth P. Mollet married Henry Volmer, son of Herman Volmer Sr. and Mary A. Hilgenhold, on 29 May 1906 at Yankton County, South Dakota. 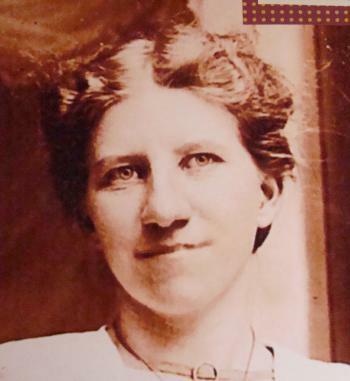 Elizabeth P. Mollet died on 7 January 1957 at Mitchell, Davison, South Dakota, at age 71. [S243] U.S. Federal Census 1920 U.S. Federal Census, by Ancestry.com, ED264. Dwelling 73. Stamp 162. [S250] U.S. Federal Census 1930 U.S. Federal Census, by Ancestry.com, ED7. Dwelling 16. Henry Volmer was born on 17 August 1879 at Troy, Perry, Indiana. Henry Volmer married Elizabeth P. Mollet, daughter of Gotthardt Mollet and Mary Josephine Braunesreither, on 29 May 1906 at Yankton County, South Dakota. Henry Volmer died on 5 October 1954 at Draper, Jones, South Dakota, at age 75. Name Variation William Henry Volmer was also known as Willie. William Henry Volmer was born on 4 July 1907 at near Utica Central Twp, Yankton County, South Dakota. He was the son of Henry Volmer and Elizabeth P. Mollet. William Henry Volmer died on 3 April 1978 at Sioux Valley Hospital, Sioux Falls, Minnehaha, South Dakota, at age 70. William Henry Volmer obtained US Social Security Card at South Dakota; last residence Fort Pierre, Stanley, South Dakota. Baby Boy Volmer died on 17 November 1908 at Utica, Central Township, Yankton, South Dakota. He was born on 17 November 1908 at Utica, Central Township, Yankton, South Dakota. 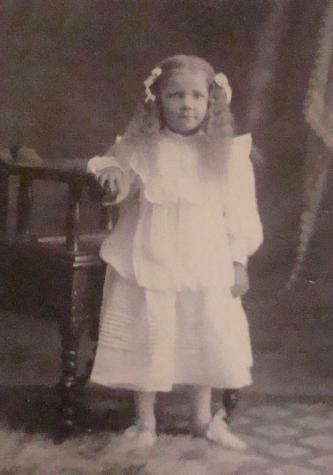 Rosemary Mary Volmer was born on 16 April 1910. She was the daughter of Henry Volmer and Elizabeth P. Mollet. Rosemary Mary Volmer died on 2 February 1911. Louis John Godheart Volmer was born on 18 December 1911 at Yankton County, South Dakota. Louis John Godheart Volmer died on 12 June 1995 at Pierre, Hughes, South Dakota, at age 83. Louis John Godheart Volmer obtained US Social Security Card at South Dakota; last residence Pierre, Hughes, South Dakota. Name Variation Caroline Mollet was also known as Karoline. Caroline Mollet was never married. She was born on 12 January 1856 at Highland, Madison, Illinois, twin with Charles. Caroline Mollet was buried before 1954 at near Greenville. Name Variation Charles Mollet was also known as Karl. Charles Mollet married Alice Armstrong. Charles Mollet was born on 12 January 1856 at Highland, Madison, Illinois, twin with Caroline. 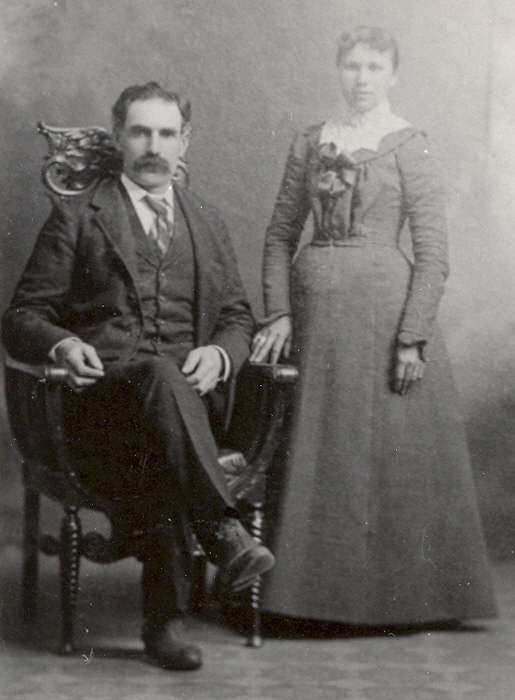 Charles Mollet and Alice Armstrong were divorced before 1900. Charles Mollet was buried in 1928 at Pleasant Lawn Cemetery, Geddes, Charlies Mix, South Dakota. He died in 1928 at Yankton, South Dakota. [S245] U.S. Federal Census 1900 U.S. Federal Census, by Ancestry.com, ED187. Dwelling 151. Married Name Her married name was Mollet. Alice Armstrong married Charles Mollet, son of Benedict Mollet and Elizabeth Muehlinman. Alice Armstrong and Charles Mollet were divorced before 1900. Alice Armstrong died before 1910 Alice's son Henry is listed as adopted in the 1910 census. Name Variation Heinrich Mollet was also known as Henry. Heinrich Mollet was born on 1 September 1858 at Highland, Madison, Illinois. Heinrich Mollet died on 3 August 1864 at Highland, Madison, Illinois, at age 5. He was buried after 3 August 1864 at Highland Cemetery, Highland, Madison, Illinois. Married Name 30 December 1878 As of 30 December 1878,her married name was Winter. Josephine Mollet was born on 20 December 1860 at Highland, Madison, Illinois. Josephine Mollet married John Ludwig Winter, son of John Winter and Charlotte Lange, on 30 December 1878. 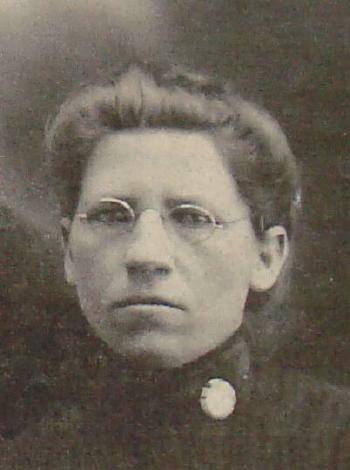 Josephine Mollet died on 17 December 1920 at Utica, Yankton, South Dakota, at age 59. She was buried after 17 December 1920 at Pleasant Lawn Cemetery, Geddes, Charles Mix, South Dakota. John L and Josephine Mollet Winter. Josephine Mollet had 12 with 8 living in 1900 children. She had 14 with 9 living in 1910 children. [S247] U.S. Federal Census 1870 U.S. Federal Census, by Ancestry.com, Page 51. Stamp 409. Dwelling 333. [S245] U.S. Federal Census 1900 U.S. Federal Census, by Ancestry.com, ED355. Dwelling 85. [S243] U.S. Federal Census 1920 U.S. Federal Census, by Ancestry.com, ED264. Sheet 1B. Dwelling 14. [S9] South Dakota, South Dakota Birth Records South Dakota, State File Number: 642178 (unknown file date). Name Variation John Ludwig Winter was also known as Winthrop. Name Variation John Ludwig Winter was also known as Johann Ludwig. John Ludwig Winter was born on 25 January 1856 at Satke, Posen, Germany. He was the son of John Winter and Charlotte Lange. John Ludwig Winter married Josephine Mollet, daughter of Benedict Mollet and Elizabeth Muehlinman, on 30 December 1878. John Ludwig Winter died on 7 February 1924 at age 68. John Ludwig Winter immigrated circa 1875. Cofina Mollet was born on 29 March 1863 at Highland, Madison, Illinois. Cofina Mollet died on 11 April 1863 at Highland, Madison, Illinois. She was buried after 11 April 1863 at Highland Cemetery, Highland, Madison, Illinois. Name Variation Josephine Johanna Mollet was also known as Josie. Married Name circa 1897 As of circa 1897,her married name was Medinnus. 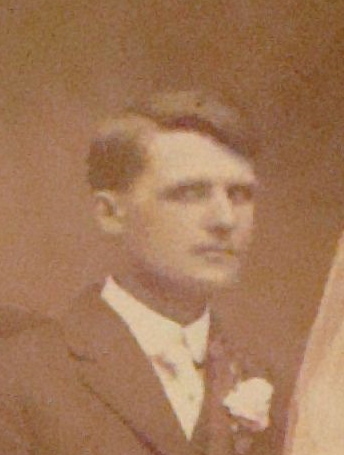 Josephine Johanna Mollet married Frank M. Medinnus, son of Carl Medinnus and Justine Uschkoreit, circa 1897 at Minneapolis, Hennepin, Minnesota. Josephine Johanna Mollet died on 18 December 1966 at Hennepin, Minnesota, at age 88. 18 April 1930 Minneapolis, Hennepin, Minnesota Josephine Johanna Mollet was listed as wife in Frank M. Medinnus's household on the 1930 Census at Minneapolis, Hennepin, Minnesota. 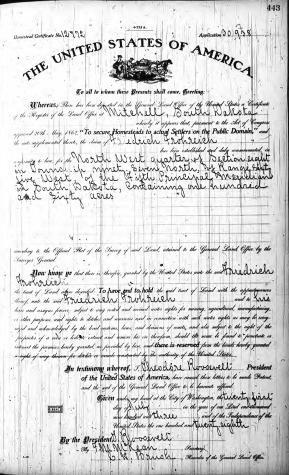 [S9] South Dakota, South Dakota Birth Records South Dakota, State File Number: 746968 (unknown file date). [S244] U.S. Federal Census 1910 U.S. Federal Census, by Ancestry.com, ED61. Dwelling 61. [S373] U.S. Federal Census 1940 U.S. Federal Census, by Ancestry.com, Year: 1940; Census Place: Minneapolis, Hennepin, Minnesota; Roll: T627_1982; Page: 16B; Enumeration District: 89-176. Married Name 27 April 1888 As of 27 April 1888,her married name was Frohreich. Sarah Mader was born on 19 September 1871 at Yankton, South Dakota, also reported as New York; also reported as 19 Sep 1870. She was the daughter of Henry P. Mader and Christina Misel. 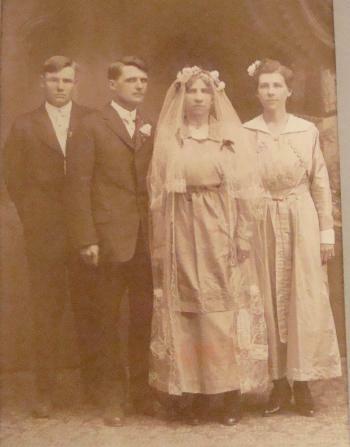 Sarah Mader married Friedrich Wilhelm Frohreich, son of Wilhelm Friedrich Frohreich and Wilhelmina Louise Catharina Weinreich, on 27 April 1888. Sarah Mader died on 24 May 1941 at Charles Mix, South Dakota, at age 69 Sarah Mader Frohreich was born on September 19, 1871 in Yankton county South Dakota. During her childhood she was baptized and confirmed in the Lutheran faith. On April 27, 1888, she was united in marriage to Fred Frohreich and to this union six children were born, three sons and three daughters. 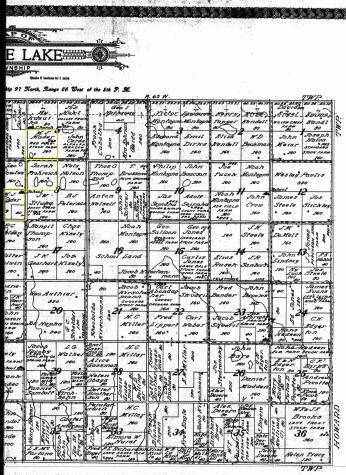 In 1893 the family moved to Charles Mix County and homesteaded on a farm seven miles east of Geddes. Her husband passed away on December 16, 1906 and two sons died in infancy. On May 24 (1941) at one p.m. she passed away, after ten years of ill health. She leaves to mourn her departure one son and three daughters; Paul Frohreich of Phoenix, Oregon, Mrs. Chris Larson of Alcester, So Dak., Mrs. L. Mikkelsen and Martha of Geddes, S. D; also two sisters and one brother; Mrs. Lane Sickman of Yankton S. D., Mrs. Mary Reimer of Breckenridge, Okla., and M. J. Mader of Lake Andes also ten grandchildren and many other relatives and friends. The funeral was held May 27 with Rev. G. V. Kohlstedt officiating at St. Paul's Evangelical Lutheran Church and burial was made in St. Paul's Cemetery. 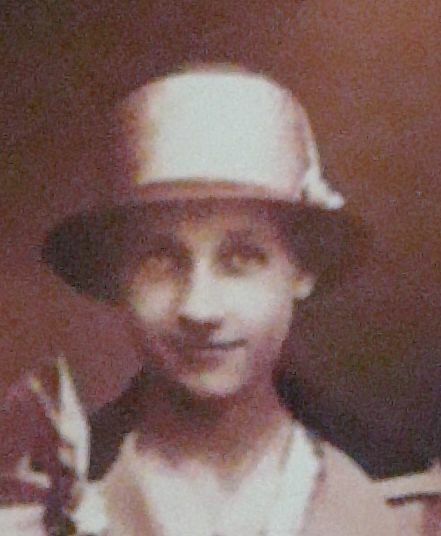 She was buried on 27 May 1941 at St. Paul's Lutheran Cemetery, Moore, Charles Mix, South Dakota, St. Paul's Lutheran Cemetery, which is located in Moore Township, Section 21, T98N R65W, about 10 miles north of Lake Andes, SD, and 10 miles east of Geddes, SD. The cemetery was founded about 1900. Latitude 43°17'10"N Longitude 98°31'30"W. (GPS Coordinates: Latitude: 43.28611, Longitude: -98.52500). 1905 South Dakota Sarah Mader appeared on the census of 1905 in the household of Friedrich Wilhelm Frohreich at South Dakota. Henry P. Mader witnessed the migration in 1873 at Yankton, South Dakota. 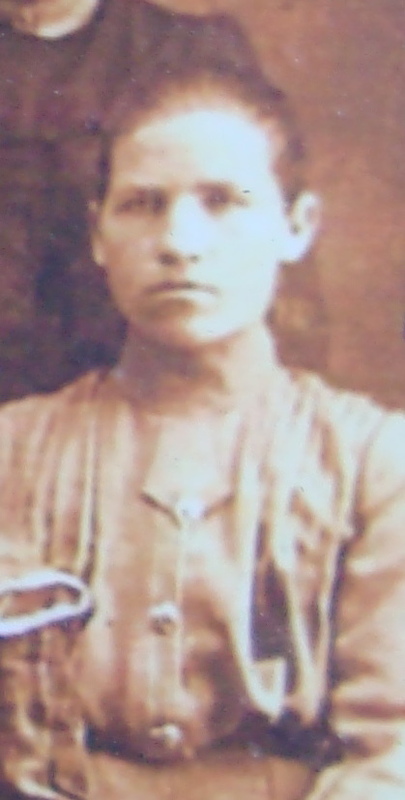 Sarah Mader was adopted after May 1877; Adopted after mother died. 1880 census has widower Henry Mader living with his sister with no children in the household. She had 5 living in 1900 children. She had 4 living in 1910 children. 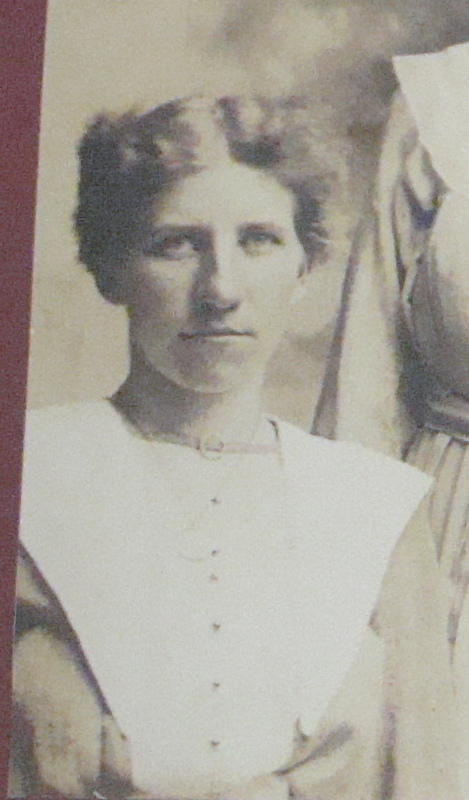 She lived in 1912 at Goose Lake, Charles Mix, South Dakota, owned 160 acres of land next to her brother M. J. Mader. 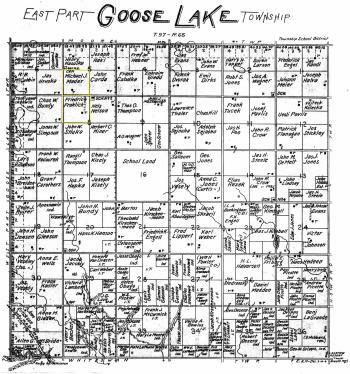 In 1912 at Goose Lake, Charles Mix, South Dakota, Land ownership map. brother and sister living next door to each other. Circa 1930 bedridden from arthritis; reported as an invalid. 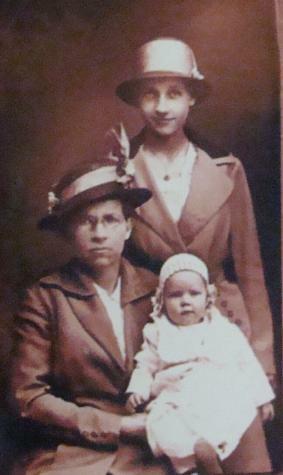 After 1930 Sarah Frohreich with Martha and Viola Smearman. In 1936 Sorrow has entered in the family of Mr. and Mrs. M. J. Mader, Sr. quite often recently (1936). The Maders are old time pioneers of Yankton and Charles Mix Counties. The deaths follow: A brother George Mader passed away of heart trouble at Yankton August 17, 1935 at the age of 59 years. 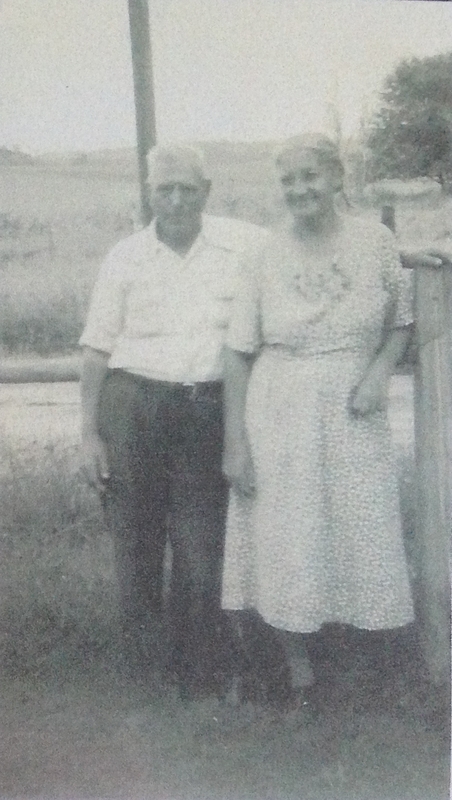 A sister, Mrs. Fred Feiddler (Fiedler) passed away at Yankton on April 27, 1936 at the age of 67 years; A brother Henry Mader passed away at Yankton May 8, 1936; A daughter, Mrs. Wm. Martens of Platte passed away March 1, 1935; Mr. Mader has only three sisters who are living: Mrs. Henry Rheiner of Enig Okla; Mrs. Lena Sickmann of Yankton; and Mrs. Sarah Frohreich of Lake Andes, the latter has been an invalid for the past 6 years. Mr. Mader, Sr. will be 72 years old this October. He has lived at Geddes and in Charles Mix County for the past 42 years. 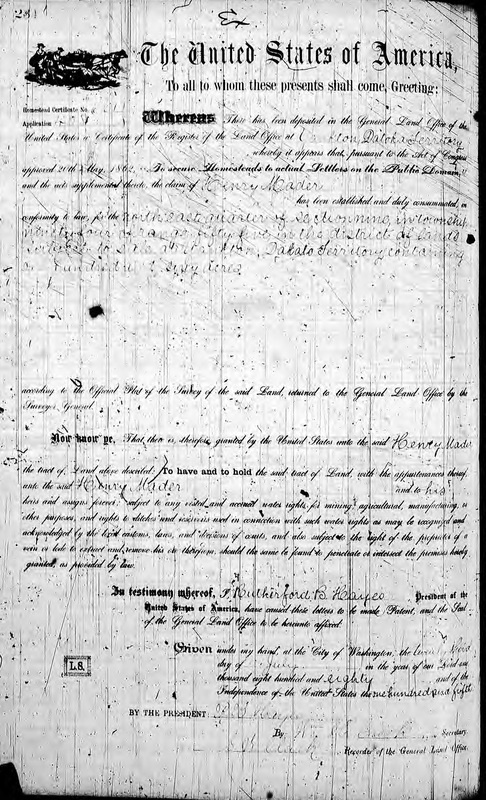 [S246] U.S. Federal Census 1880 U.S. Federal Census, by Ancestry.com, NA Film Number T9-0115 Page Number 510B. [S243] U.S. Federal Census 1920 U.S. Federal Census, by Ancestry.com, ED41. Dwelling 11. [S250] U.S. Federal Census 1930 U.S. Federal Census, by Ancestry.com, ED12-9. Dwelling 65. [S373] U.S. Federal Census 1940 U.S. Federal Census, by Ancestry.com, Year: 1940; Census Place: Goose Lake, Charles Mix, South Dakota; Roll: T627_3851; Page: 2B; Enumeration District: 12-9. Name Variation Henry P. Mader was also known as Heinrich Meter. Henry P. Mader was born circa 1821 at Strasburg, Elses, France, also reported as Germany. He was the son of (?) Mader and unknown (?). Henry P. Mader married Christina Misel, daughter of Jacob Meissel and Christiane Breitenbucher, before 1860. Henry P. Mader died in April 1894. He was buried in April 1894 at Rosenberg Cemetery, Mission Hill, Yankton, South Dakota, Plot: Gr. 36 Lot 4. [S248] U.S. Federal Census 1860 U.S. Federal Census, by Ancestry.com, Page 31. Dwelling 239. 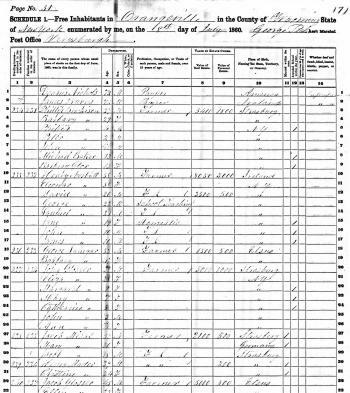 [S247] U.S. Federal Census 1870 U.S. Federal Census, by Ancestry.com, Page 26. Dwelling 211. 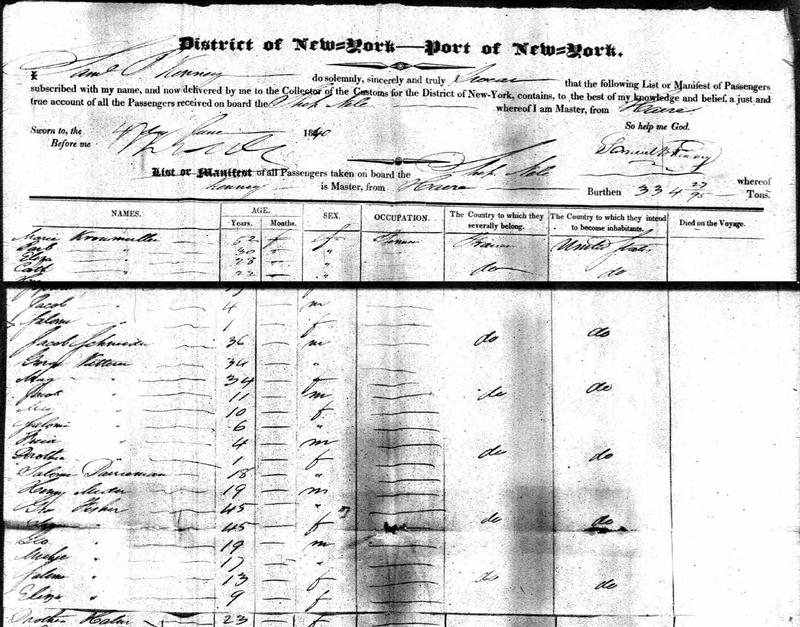 [S246] U.S. Federal Census 1880 U.S. Federal Census, by Ancestry.com, NA Film Number T9-0115 Page Number 509C. Name Variation Michael J. Mader Sr. was also known as M. J. 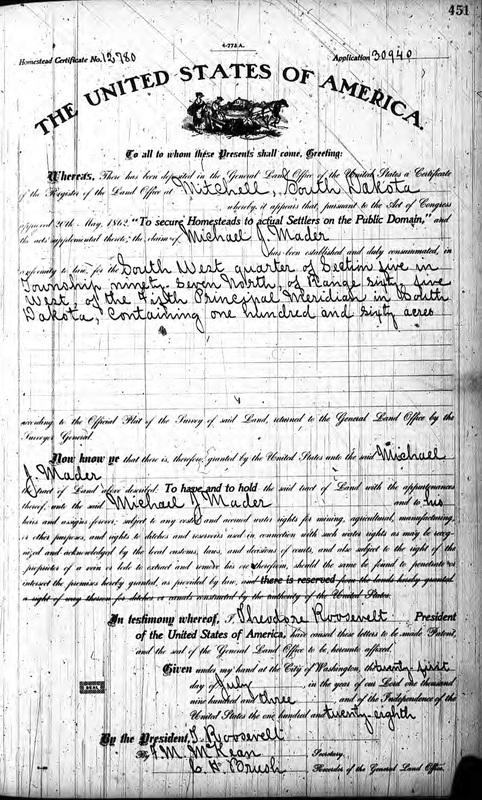 Name Variation Michael J. Mader Sr. was also known as Mike J.
Michael J. Mader Sr. was born on 15 October 1864 at New York. He was the son of Henry P. Mader and Christina Misel. 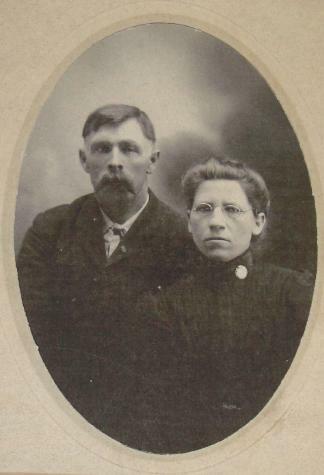 Michael J. Mader Sr. married Mary Josephine Hruska, daughter of Frank Hruska and Anne Kosnarona, circa 1892. 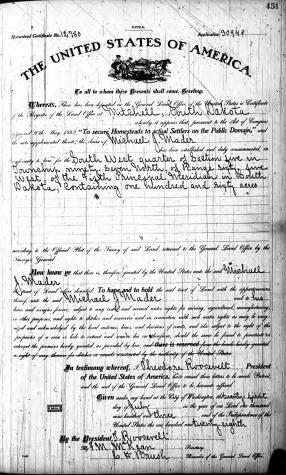 Michael J. Mader Sr. died on 12 June 1948 at Geddes, Charles Mix, South Dakota, at age 83. Henry P. Mader witnessed the migration in 1873 at Yankton, South Dakota. 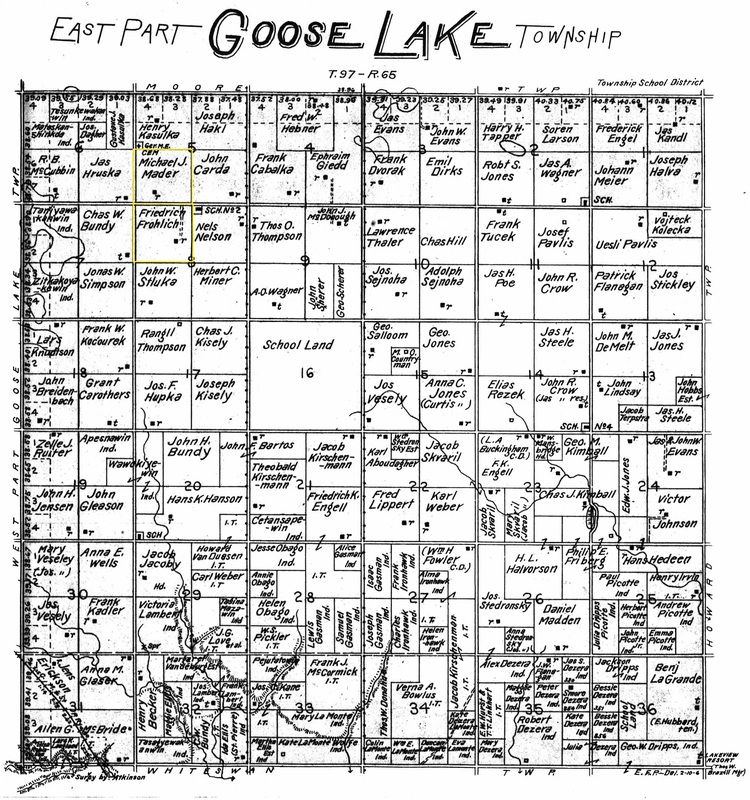 Michael J. Mader Sr. purchased land on 21 July 1903 at Goose Lake, Charles Mix, South Dakota, Meridian 05 Township 97N Range 65W section 5 acreage 160 type 251101 Patent, DocID 12780. 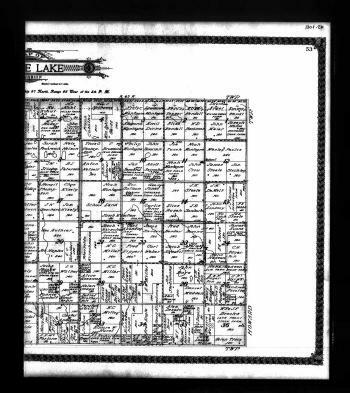 In 1906 at Goose Lake, Charles Mix, South Dakota, Land ownership map. brothers-in-law living next door to each other. 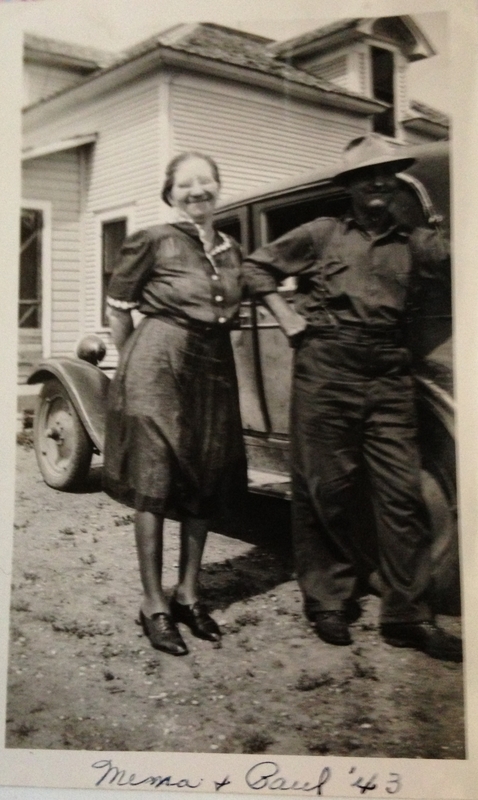 He lived in 1912 at Goose Lake, Charles Mix, South Dakota, owned 160 acres of land next to Sarah Frohreich (his sister). [S299] South Dakota, St. Ann's Catholic Cemetery, Charles Mix Co., SD, Block 17 Lot 1 Grave 4. [S245] U.S. Federal Census 1900 U.S. Federal Census, by Ancestry.com, ED74. Dwelling 114. [S244] U.S. Federal Census 1910 U.S. Federal Census, by Ancestry.com, ED90. Dwelling 31. [S243] U.S. Federal Census 1920 U.S. Federal Census, by Ancestry.com, ED41. Dwelling 7. [S250] U.S. Federal Census 1930 U.S. Federal Census, by Ancestry.com, ED12-9. Dwelling 14. [S373] U.S. Federal Census 1940 U.S. Federal Census, by Ancestry.com, Year: 1940; Census Place: Lake Andes, Charles Mix, South Dakota; Roll: T627_3851; Page: 1A; Enumeration District: 12-15. 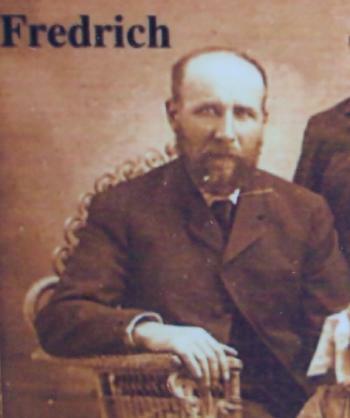 Name Variation Friedrich Wilhelm Frohreich was also known as Fredrich. Name Variation Friedrich Wilhelm Frohreich was also known as Fritz. Name Variation Friedrich Wilhelm Frohreich was also known as August Friedrich Wilhelm. Name Variation Friedrich Wilhelm Frohreich was also known as Frohlich. Name Variation Friedrich Wilhelm Frohreich was also known as Fred. Name Variation Friedrich Wilhelm Frohreich was also known as Frederick William. Friedrich Wilhelm Frohreich was born on 10 June 1856 at Dorphagen, Pomerania, Germany, also reported as Berlin. He was the son of Wilhelm Friedrich Frohreich and Wilhelmina Louise Catharina Weinreich. 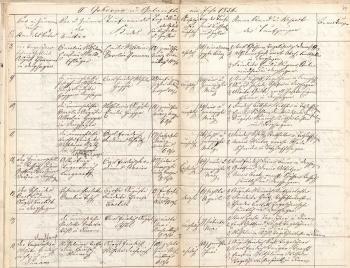 Friedrich Wilhelm Frohreich was baptized on 12 June 1856 at Dorphagen, Pomerania, Germany. He married Sarah Mader, daughter of Henry P. Mader and Christina Misel, on 27 April 1888. 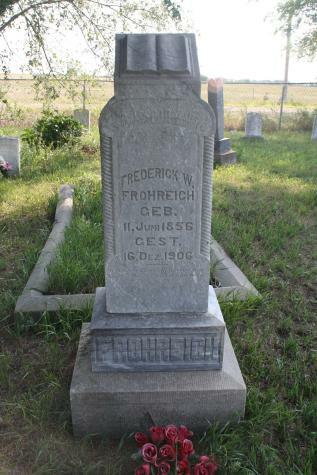 Friedrich Wilhelm Frohreich died on 16 December 1906 at Charles Mix, South Dakota, at age 50 Fred Frohreich, one of the successful farmers residing east of Geddes, passed away Sunday evening. He had been at one of the neighbor's for a visit and while returning home suddenly pitched from the buggy and expired. Heart failure was the cause of his sudden death. He was fifty years and six months of age and leaves a wife and five children. He was a man that had made farming a success being one of the well-to do men of the county. The funeral took place Tuesday, a minister from Delmont officiating. The sympathy of the people will go out to the relatives and friends who are called upon so suddenly to mourn the parting of a loved one. We cannot explain the mysteries of our Creator but we may be comforted with the assurance that He who gave has called a husband, father and kind neighbor home to Himself and where peace and joy abound. He was buried after 16 December 1906 at St. Paul's Lutheran Cemetery, Moore, Charles Mix, South Dakota, St. Paul's Lutheran Cemetery, which is located in Moore Township, Section 21, T98N R65W, about 10 miles north of Lake Andes, SD, and 10 miles east of Geddes, SD. The cemetery was founded about 1900. Latitude 43°17'10"N Longitude 98°31'30"W. (GPS Coordinates: Latitude: 43.28611, Longitude: -98.52500). [S253] Charles Mix SD Index to 1906 Atlas, by Charles Mix SD, page 25. 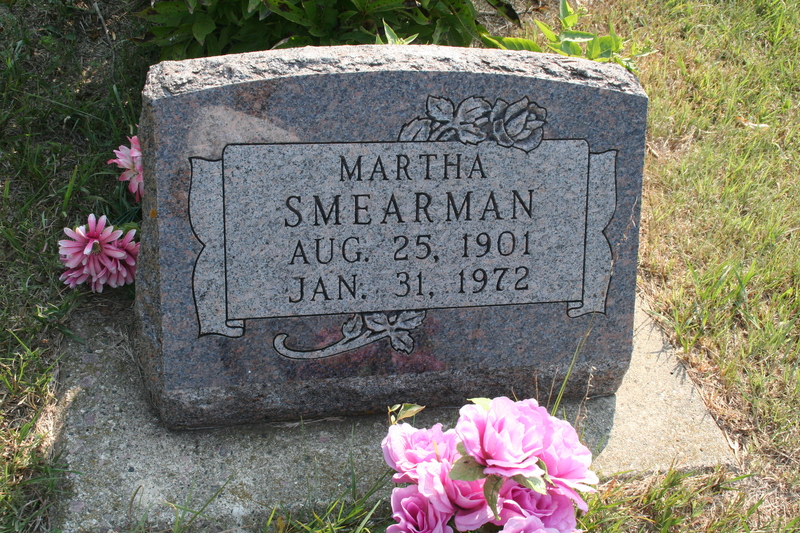 Married Name 4 January 1943 As of 4 January 1943,her married name was Smearman. Martha Emma Frohreich was born on 25 August 1901 at Geddes, Charles Mix, South Dakota, also reported as 1902. 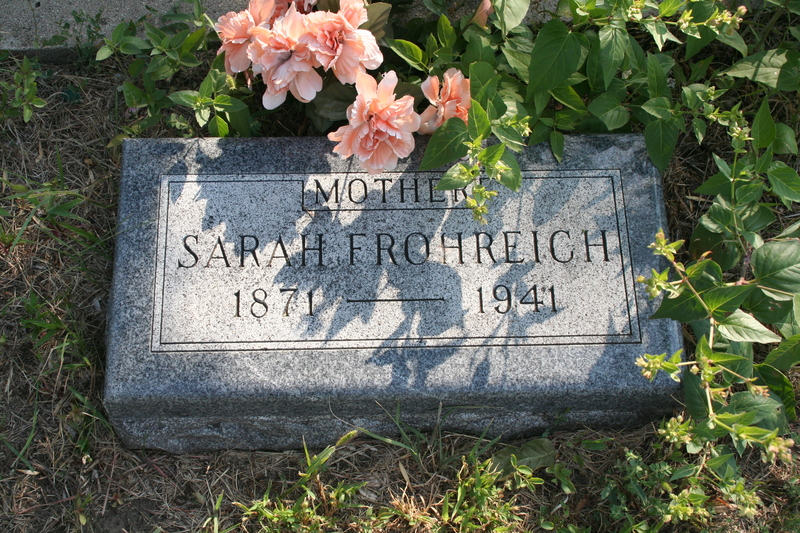 Martha Emma Frohreich died on 31 January 1972 at age 70. 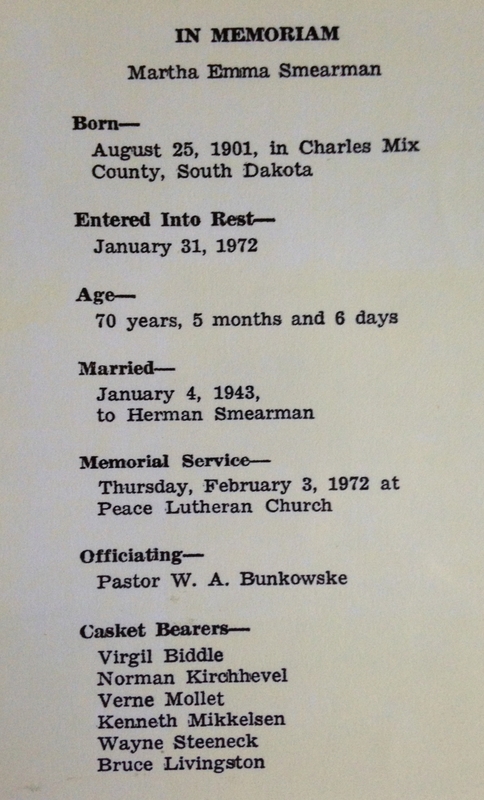 She was buried on 3 February 1972 at Pleasant Ridge Cemetery, Douglas, South Dakota. 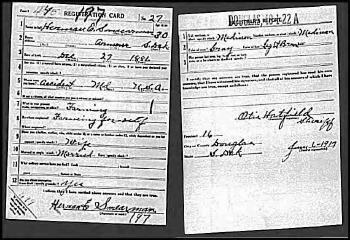 1905 South Dakota Martha Emma Frohreich appeared on the census of 1905 in the household of Friedrich Wilhelm Frohreich at South Dakota. 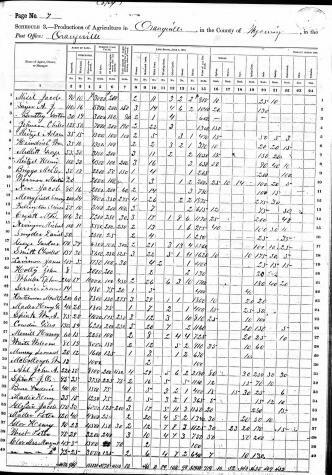 1945 state census, Emmet, Union, South Dakota Martha Emma Frohreich appeared on the census of 1945 in the household of an unknown person and Herman Edward Smearman at state census, Emmet, Union, South Dakota. Martha and Herman Smearman photo. 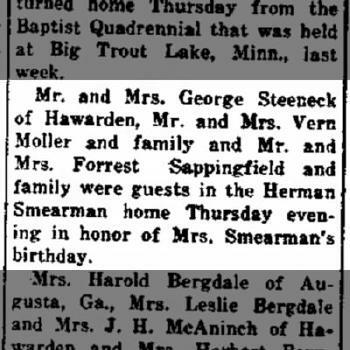 On 25 August 1955 Mr and Mrs George Steeneck of Hawarden, Mr and Mrs Vern Mollet and family and Mr and Mrs Forrest Sappingfield and family were guests in the Herman Smearman home Thursday evening in honor of Mrs Smearman's birthday. On 14 May 1964 Mr. and Mrs. Herman Smearman were Sunday afternoon visitors in the Marvin and Vernice Nelson home. On 30 September 1965 announcement in the newspaper of a farm auction, scheduled for October 7th. Martha Emma Frohreich lived on 15 February 1968 at Alcester, South Dakota, attended the 40th wedding anniversary celebration for Mr. and Mrs. Oscar Gibson of Canton (Iowa). On 18 February 1968 at Hawarden, Iowa, Mr. and Mrs. Oscar Gibson of Canton were honored on their 40th wedding anniversary Sunday, February 18, at the home of their daughter, Mrs. J. Lawrence Schiefen of rural Hawarden. Dinner guests included Mr. and Mrs. Clifford Faughender and Gaylen and Mrs. Hannah Paulson, all of Geddes, South Dakota, and Mrs. Dorothy Schiefen of Hawarden. Friends and relatives who came in the afternoon to surprise the honored couple were Mr. and Mrs. Ernest Gibson of Tyndall, South Dakota; Mr. and Mrs. Norman Gibson, Mrs. Herb Olson and Mrs. Glen Jerke of Avon, South Dakota; Mr. and Mrs. Fred Strehlow and Vicky and Mr. and Mrs. Chester Vipond of Hudson; Mr. and Mrs. Verne Mollet and Mrs. Martha Smearman of Alcester; Mr. and Mrs. Virgil Biddle, Verla and Glenda of Garretson, South Dakota, and Mr. and Mrs. Rudolph Twedt of Canton. At the close of the social afternoon lunch was served by the hostess. On 4 September 1969 visited Mr. George Steeneck in hospital. Name Variation Herman Edward Smearman was also known as Ermin Edward. 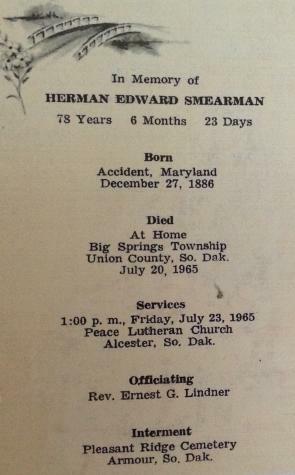 Herman Edward Smearman was born on 27 December 1886 at Accident, Garrett, Maryland. He was the son of Josiah Joseph Smearman and Lucinda Durst. 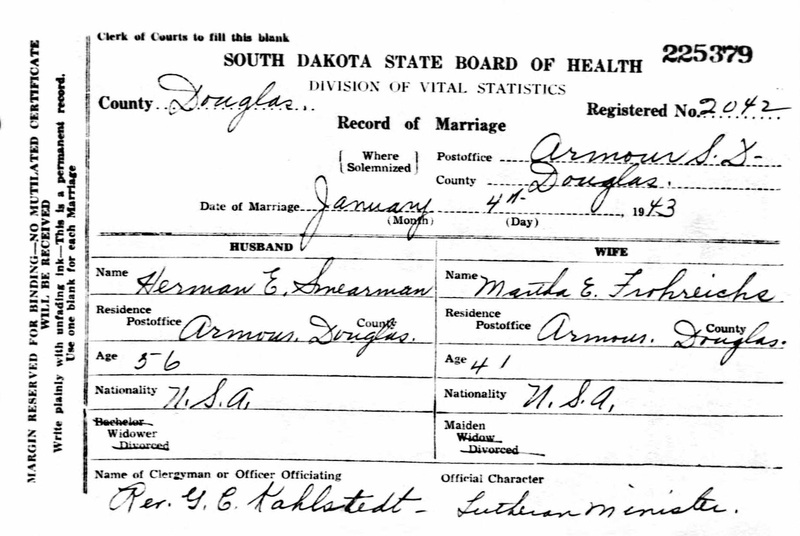 Herman Edward Smearman married Mary Anna Hedman on 16 March 1913 at first marriage for both, Douglas, South Dakota. 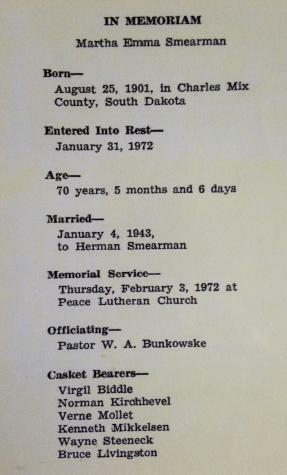 Herman Edward Smearman died on 20 July 1965 at at home, Big Springs, Union, South Dakota, at age 78. 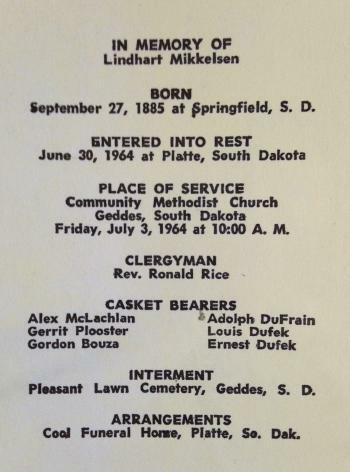 He was buried on 23 July 1965 at Pleasant Ridge Cemetery, Douglas, South Dakota. 1945 state census, Emmet, Union, South Dakota He appeared on the census of 1945 at state census, Emmet, Union, South Dakota. On 6 June 1917 at Douglas, South Dakota, World War I Draft Registration Card. In 1942 at World War II Draft Registration, Centerville, South Dakota. 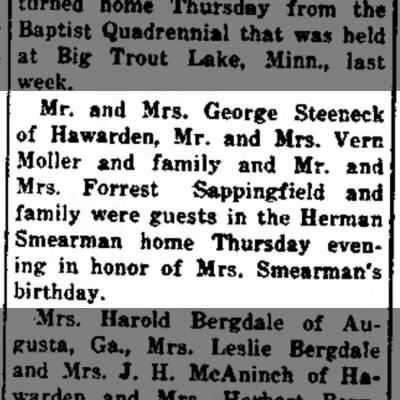 On 25 August 1955 Mr and Mrs George Steeneck of Hawarden, Mr and Mrs Vern Mollet and family and Mr and Mrs Forrest Sappingfield and family were guests in the Herman Smearman home Thursday evening in honor of Mrs Smearman's birthday. On 14 May 1964 Mr. and Mrs. Herman Smearman were Sunday afternoon visitors in the Marvin and Vernice Nelson home. [S245] U.S. Federal Census 1900 U.S. Federal Census, by Ancestry.com, ED41. Dwelling 134. [S244] U.S. Federal Census 1910 U.S. Federal Census, by Ancestry.com, ED24. Dwelling 102. [S243] U.S. Federal Census 1920 U.S. Federal Census, by Ancestry.com, ED81. Sheet 8B. Dwelling 133. [S250] U.S. Federal Census 1930 U.S. Federal Census, by Ancestry.com, ED22-3. Dwelling 21. [S373] U.S. Federal Census 1940 U.S. Federal Census, by Ancestry.com, Year: 1940; Census Place: Chester, Douglas, South Dakota; Roll: T627_3855; Page: 3A; Enumeration District: 22-3. Name Variation Wilhelmena Augusta Frohreich was also known as Minnie. 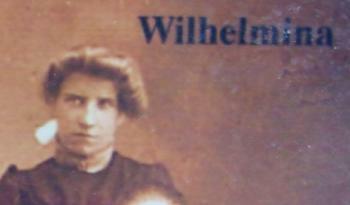 Name Variation Wilhelmena Augusta Frohreich was also known as Wilhelm Auguste. Nickname Wilhelmena Augusta Frohreich also went by the name of Mena. Married Name 9 April 1918 As of 9 April 1918,her married name was Mikkelsen. Wilhelmena Augusta Frohreich was born on 17 March 1889 at Yankton, South Dakota. 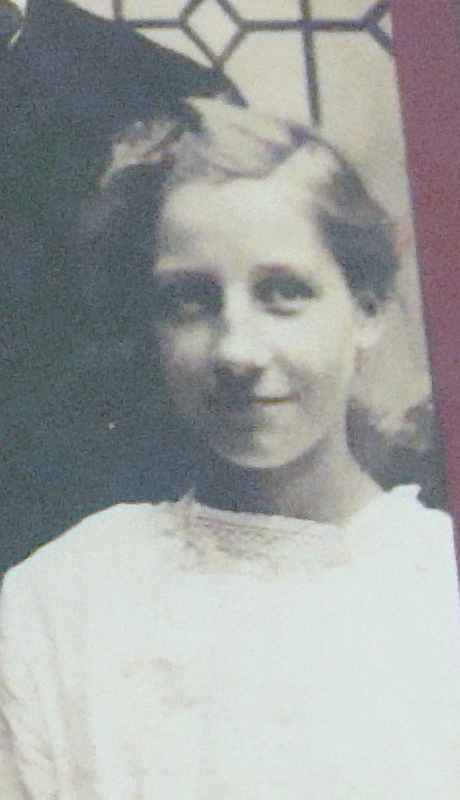 Wilhelmena Augusta Frohreich died in March 1980. 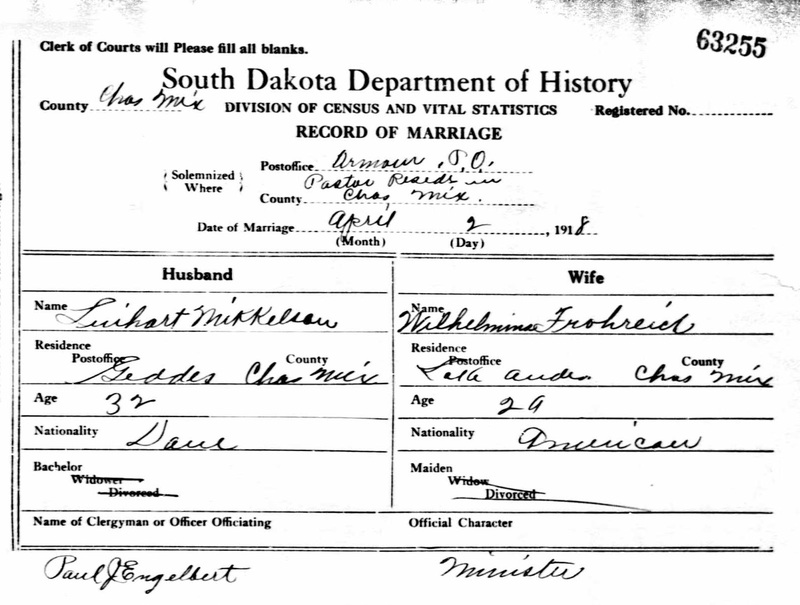 1905 South Dakota Wilhelmena Augusta Frohreich appeared on the census of 1905 in the household of Friedrich Wilhelm Frohreich at South Dakota. Wilhelmena Augusta Frohreich obtained US Social Security Card at South Dakota; last residence Platte, Charles Mix, South Dakota. 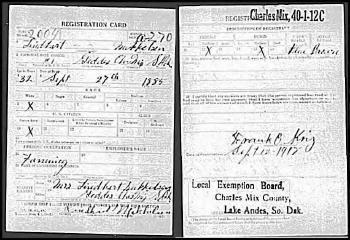 On 12 September 1917 at Charles Mix, South Dakota, World War I Draft Registration Card. In 1943 Wilhelmina Frohreich Mikkelsen and Paul Frohreich (siblings). [S197] South Dakota, Pleasant Lawn Cemetery, SD. [S243] U.S. Federal Census 1920 U.S. Federal Census, by Ancestry.com, ED47. Dwelling 79. [S250] U.S. Federal Census 1930 U.S. Federal Census, by Ancestry.com, ED12-20. Dwelling 85. [S373] U.S. Federal Census 1940 U.S. Federal Census, by Ancestry.com, Year: 1940; Census Place: Moore, Charles Mix, South Dakota; Roll: T627_3851; Page: 3A; Enumeration District: 12-20. Name Variation Lindhart Mikkelsen was also known as Leonard. Name Variation Lindhart Mikkelsen was also known as Lyndhart. Name Variation Lindhart Mikkelsen was also known as Lenard. Lindhart Mikkelsen was born on 27 September 1885 at Geddes, Charles Mix, South Dakota. He was the son of Graves Mikkelsen and Martine Hansine Hansen. 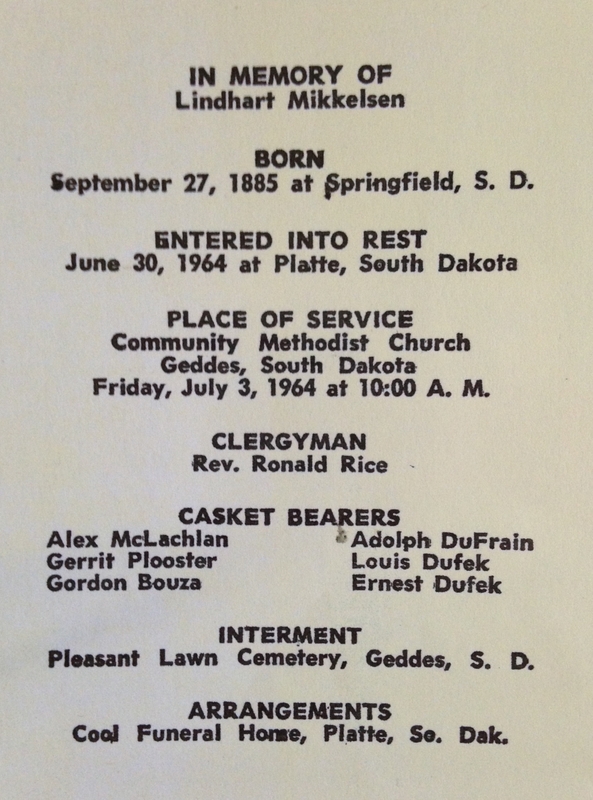 Lindhart Mikkelsen died on 30 June 1964 at Platte, South Dakota, at age 78. 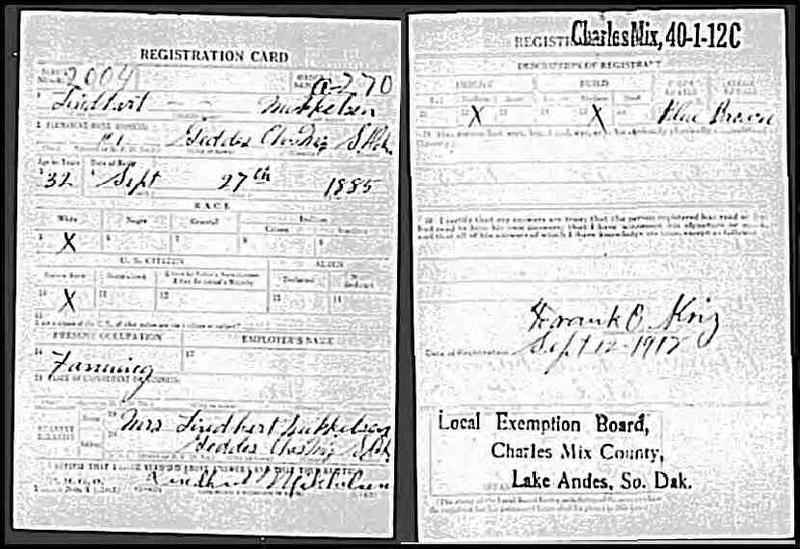 On 12 September 1917 at Charles Mix, South Dakota, World War I Draft Registration Card. [S245] U.S. Federal Census 1900 U.S. Federal Census, by Ancestry.com, ED80. Dwelling 28. [S244] U.S. Federal Census 1910 U.S. Federal Census, by Ancestry.com, ED96. Dwelling 45. Nicklaus Mollet was born on 24 May 1789 at Unterramsern, Aetingen (now Bucheggberg), Solothurn, Switzerland. He was the son of Joseph Mollet and Maria Molet. Nicklaus Mollet married Maria Von Ballmoos, daughter of Caspar Von Ballmoos and Barbara Schürch, on 16 August 1811 at Oberburg, Bern, Switzerland. Nicklaus Mollet died on 7 January 1847 at age 57. Name Variation Maria Von Ballmoos was also known as Von Balmoos. Married Name 16 August 1811 As of 16 August 1811,her married name was Mollet. Maria Von Ballmoos was born on 8 February 1784 at Heimiswil, Bern, Switzerland. She was the daughter of Caspar Von Ballmoos and Barbara Schürch. Maria Von Ballmoos married Nicklaus Mollet, son of Joseph Mollet and Maria Molet, on 16 August 1811 at Oberburg, Bern, Switzerland. Maria Von Ballmoos died on 13 March 1815 at Aetingen (now Bucheggberg), Solothurn, Switzerland, at age 31. Joseph Mollet married Maria Molet. Maria Molet married Joseph Mollet.